ALL-FATHER ODIN, FATHER OF RUIN! 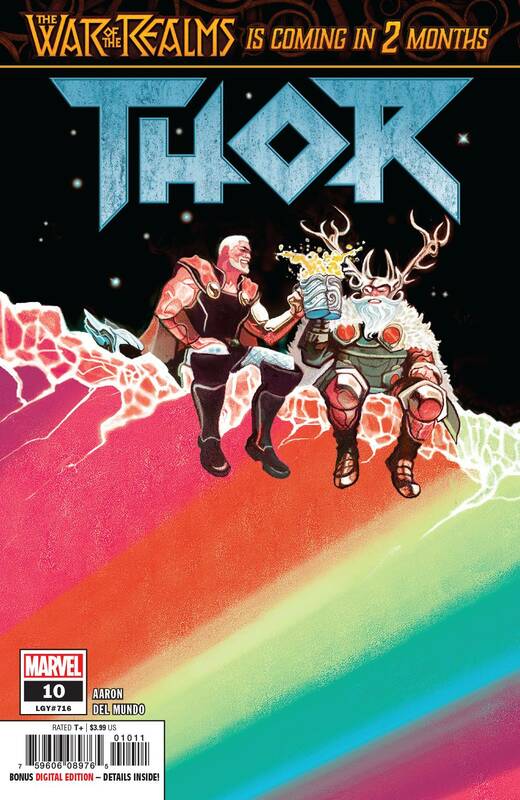 ROAD TO THE WAR OF THE REALMS! For months, the realms have burned with the flames of Malekith's war, while Almighty Odin did nothing. Now Asgardia is lost in the sun, the Rainbow Bridge is shattered and the All-Father sits alone in the empty ruins of Old Asgard, drunk on mead and despair. If Odin is going to save what's left of the realms, he'll have to undertake the most difficult labor of his very long life. 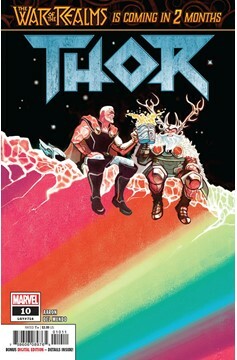 Not by being the omnipotent All-Father, but by finally being just a father to the mighty Thor. Rated T+.